After intense efforts to promote turnout, citizens voted in significant numbers, yet restrictions on the fundamental freedoms, as well as on candidate registration, have limited the space for political engagement and resulted in a lack of genuine competition, the statement says. There were eight candidates, one woman and seven men, including the incumbent president. Positively, recent amendments significantly reduced the number of supporting signatures required for candidate registration. Seventeen prospective candidates were rejected by the CEC, with six of these decisions challenged unsuccessfully in the Supreme Court. While candidates could generally campaign freely, the extensive coverage in most media of the incumbent as president resulted in an uneven playing field, the observers said. The laws governing presidential elections are comprehensive, and recent amendments addressed some previous ODIHR recommendations. They remain highly complex, however, and include restrictions on voter and candidate rights. Amendments to a dozen different laws since the 2012 presidential election limited some constitutionally guaranteed political rights and fundamental freedoms of assembly, association and expression, and a number of activists who questioned the legitimacy of the election were detained. 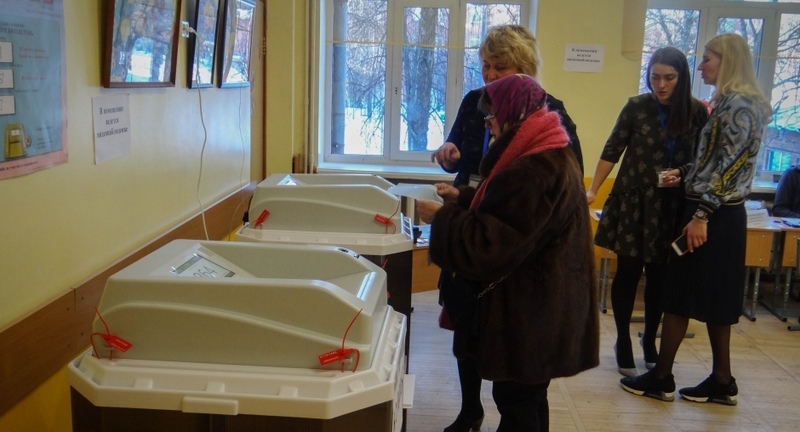 The legal and technical aspects of the election were well administered, and the CEC held regular public sessions, undertaking measures to address persistent allegations of voter coercion. Overall, lower-level commissions prepared the election efficiently, although some questioned whether their composition impacted their impartiality and independence, the statement says. Television, and particularly broadcasters founded, owned or supported by the state, remains the dominant source of political information. While the incumbent president did not participate in debates or in campaigning, the extensive coverage of his official activities provided him with a dominant presence, the observers said. A restrictive legislative and regulatory framework limits freedom of the media and promotes self-censorship. The media monitored by the ODIHR election observer mission complied with the legal requirements to air debates and provided contestants with free airtime and space. Critical assessments were absent in most media. Election day was conducted in an orderly manner, despite shortcomings related to voter secrecy and procedures that reduced the transparency of the counting. Tabulation was assessed positively, although some concerns were reported about the transparency of the process. Observers noted a variety of measures, some involving inappropriate pressure on voters, aimed at increasing turnout. The CEC accredited some 1,500 international observers, and over 150,000 were fielded by civic chambers. Given the perceived association with the state authorities, observation by civic chambers does not address the continued lack of legal provisions for independent observation by citizen observers and organizations.